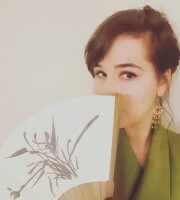 This post covers another part of Master’s thesis on mental health stigma in premodern Japan. If you are new to this series of blog posts, feel free to check out part 1, 2, 3, 4, 5, 6, 7 first before getting into this one. Part 8 will discuss how the mentally ill were treated in early modern Japan. A couple of facilities originated as centers of religious charity and pilgrimage, of which some transformed into specialized institutions. Also introduced in this post, is private confinement at home – here I attempt to contextualize this phenomenon in its historical, social and cultural setting. Unsurprisingly, the circumstances for patients were not always ideal and often reflected mental health stigma. Similar to Western countries (see for example, my post on Gheel/Iwakura), many religious institutions in Japan offered services to the mentally disordered. Folk therapy, strongly entangled with Shintoism or Buddhism, remained the general approach among customers to cure diseases of the mind. One could visit a shrine or temple in the vicinity and receive care and treatment. From Records of the One Hundred Articles (Hyakkajō Chōsho,百箇條調書), Supreme Court records kept by the Tokugawa shogunate, we know that mental health patients were taken in as temple disciples. As mentioned before, a handful of religious institutions provided special treatment as early as the medieval times, but this number rose significantly during the late Edo period. Services such as the reading of sutra’s or incantations, several types of water treatment, moxibustion (burning dried mu and Chinese-style herbal medication were available in 28 shrines and temples nationwide shortly before the Meiji revolution. For example, in Buddhist temples it was common to burn cedar sticks during “incantation and prayer” (kaji kitō 加持祈禱) and let the patient bathe several times a day under a waterfall. The Shintoist ritual, “hot water and prayer” (yugitō 湯祈禱) prescribed prayer at morning and evening, followed by boiling water in a pot of approximately 14,4 liters (8 shō) in front of the temple and pouring the hot water over the head of the patient. The first mental hospital with a medical approach, Ishimaru Lunatic Asylum (Ishimaru tenkyōin石丸癲狂院), was established in 1818, followed by Komatsugawa Asylum (Komatsugawa kyōbyō chiryōsho 小松川狂病治療所) in 1846. In particular the Daiunji-temple in Iwakura, north of Kyoto, rose to prominence as a popular destination for mentally ill pilgrims. Its reputation as a place of mental healing was established based on a legend from 1072, when the daughter of emperor Go-Sanjō who suffered from a mental disorder, recovered by drinking from the well and bathing under the waterfall. However, it was only centuries later, from 1765 on, that people started to flock to Iwakura. This urged the provision of housing inside the temple domain and with the neighboring villagers. Consequently, Iwakura gained fame as “the Japanese Gheel”, referring to the Belgian city of Gheel where mentally disordered pilgrims were systematically placed under family care since early times. Hashimoto refutes the comparison between the two places of pilgrimage and views it as a historical construction created in the early 20th century by “Japanese Orientalists”. In line with this argument, I also doubt that a model of family care similar to Gheel’s is applicable to the Iwakura situation, let alone to Japan nation-wide. The gap between alleged outpatient rehabilitation and the actual situation in Iwakura is illustrated in Seiseido’s Commentary on Medicine (Seiseidō itan生々堂醫譚, 1796), authored by the physician Nakagami Kinkei. In these times, commoners in Kyoto usually accompany those who have become mad to places such as Iwakura, and have them stand under the waterfall. Many families, however, cannot endure the sight, and leave the patient in the care of others. These people are anxious that the patients will escape in the middle of the night and for their own peace of mind, they tie them down, day and night. Consequently the endurance of the patients is put to the test, and they contrarily grow only crazier. Although religious institutions fulfilled a charitable purpose, Nakagami criticizes the state of illegal detention in which mental patients received their treatment at the so-called places of healing. Later on, scholars of western medicine will look back on folk practice as “inhumane treatment” and “a sanitation hazard” for the mentally disordered. However, as Hashimoto points out, temples and shrines were more than just places for treatment. They attached a religious meaning to the process of recovery and lead the patients on their way to spiritual healing. A retreat usually took three weeks, although six months or one year were not exceptional. Patients were usually accompanied by a family member, for whom lodging was additionally provided inside the shrine or temple. Not only did the retreat serve as a change in environment and deepen the familial bonds, the patient and companions could also freely choose on time and type of treatment. In this sense, a mental disorder was still linked with religion and spirituality, despite the strong secularization of the Japanese society and the phenomenon of “madness” in conjunction with the understanding of his condition as “illness”. The explanation above could give the impression that the mentally disordered were en masse received and treated in religious institutions. It should, however, be noted that retreats at temples and shrines were very expensive. The two existing premodern mental asylums were also private institutions and likewise limited to families with sufficient financial means. For most patients, the only way to cope with their “madness” was confinement. Accounts of Official Business gives an example from 1745 of “confinement in a cage” (sashiko-ire 指籠入). Sashiko was a wooden construction designed to lock up “mad” people who were difficult to handle. The oldest record of a sashiko dates back to 1710. The confined in question is described as “deranged” (ranki乱気), “mad” (kyōki 狂気) and “insane” (ranshin 乱心) and is said to disturb public order in such an extent that it has become socially unacceptable. Confinement in a sashiko was arranged on both the public and the private level, but contrary to what is generally believed, “putting a lunatic in a sashiko was by no means a purely private business”. Those who wanted to incarcerate a “mad” person had to petition to the village authority, who then asked for approval from the han (feudal domain) court. The management and supervision of the confined was left to the family members, the gonin-gumi 五人組 (five-household neighborhood unit system) or the village head. Kawamura further adds that, because of the strong belief in the possibility of recovery from insane to sane, no additional punishment was given as long as the mentally disordered person did not cause any damage. The purpose of confinement of the “mad” in a sashiko was twofold: their speedy recovery and preventing them from escaping and harming others. It was by far the most applied method of dealing with the mentally disordered from 1750 on. In this context, terminology such as ranshin came into use to emphasize the necessity of confinement, since this word indicates subversive and violent behavior and is frequently mentioned in legal documents such as Hyakkajō Chōsho and Criminal Cases during the Tokugawa Period (Oshioki Ruireishū 御仕置例類集). Ranshin was “a label that showed the gap between those whose conduct was deviant, and the desired “social normality”, a concept otherwise impossible to define“. The emergence of a perception of “madness” as antisocial behavior is not surprising: it corresponds with the political approach focusing on public peace and order at that time. The confinement of mentally disordered individuals was deemed necessary to maintain a social equilibrium. A similar movement in Europe of “locking up the mad” has been widely discussed by scholars such as Michel Foucault, who calls it “the Great Confinement” (a theory which has also been widely contested recently). Confinement in Japan, however, is characterized by many elements different from the European situation. It is, therefore, not a question whether “a Great Confinement” in the Foucauldian sense was achieved, but to what extent and how Japanese mental patients were confined, and how this form of constraint reflected stigmatization. Two elements should be taken into account when constructing the framework in which confinement of the mentally disordered during this period took place. Firstly, the major forms of punishment were death penalty and deportation. Accordingly, there were no provisions for the life imprisonment or long penal servitude of criminals, and institutions that serve this purpose nowadays did not exist at that time. Prisons in the forensic sense were places of temporary confinement for not yet convicted and sentenced criminals. In other words, the concept of “imprisonment” was not regarded as a punishment in se. Secondly, the family or gonin-gumi was responsible for the crimes committed by other family members or members of the same group. Porter states that “insanity was basically, in those days and for long after, a domestic responsibility“. According to Hiruta, the system of collective responsibility even applied to cases of suicide, but ranshin was an exception. [W]here in general the clear involvement of relatives was claimed, [in this case] the familial responsibility was overlooked. However, even in the case of ranshin, if it was concluded that the criminal actions of the defendant could have been predicted, (…) than the supervision of the relatives was questioned nevertheless. Since the mentally disordered were left in full charge of their family, their treatment and care depended highly on what risks they brought along for their relatives or gonin-gumi. As a result, those regarded as ranshin were often locked up at home. Other (folk) methods involved neglect, “wearing the tub” as social shaming (okebuse 桶伏せ), tying up limbs, disinheritance (kyūri 久離) et cetera. These choices of treatment did not contribute to the healing of the patient, on the contrary, they were employed to escape responsibility or publicly shame the patient. Adding to the list incarceration and the painful ritual of smoking or beating out fox spirits, we can assume that many people with a mental disorder experienced abuse or neglect, and thus (sometimes literally) stigmatization, due to a combination of communal responsibility and the preeminence to folk methods. These elements form the background in which home confinement was practiced. Indeed, locking up the “mad” at home was legalized and enacted during the 19th century, and the law abolishing home confinement was only promulgated in 1950. There are few examples of Japanese detention facilities that were afterwards converted into mental hospitals, in contrast with the European situation. This indicates the absence of a link between “places of confinement” and “places of treatment” and explains the delay of the latter. Concerning the former, it must be emphasized that “without good reason, it was not possible to lock up ranshin individuals, and the procedure for sashiko-ire was already stipulated at that time” and that “the general idea that mentally disordered people were tied down and put in something like a cage without permission is completely false ”. In other words, confinement of the “mad” was already thoroughly regulated by the Edo government, and provided the groundwork for the first law of 1900, in which a resembling procedure was then institutionalized. According to Yamasaki Tasuku, there were three official ways to confine the mentally disordered in the Edo period: imprisonment (nyūrō入牢), “caging” at home (kannyū 檻入 or nyūkan入檻) and the placement in an institution managed by hinin非人or eta , the outcasts of Japanese society (tameazuke 溜預). Imprisonment was possible on request of the family or gonin-gumi. Besides the “mad”, prisons at that time also contained the poor and homeless (abandoned by their family), minor offenders and convicts who had stolen food or lit fires to stay warm in winter. One example is Ishikawa Island Labor Camp in Edo, today’s Tokyo (Ishikawa Ninsoku Yoseba 石川人足寄場, est. 1790). In the facility, they were put to work in the prospect of rehabilitation. For confinement at home, a special cage was constructed once the family had obtained permission from the authorities. Hashimoto argues that the decision for imprisonment or home confinement was based on the status of the mentally disordered individual. In case it concerned a family heir or a person that had to be respected and was, therefore, not subjected to disciplinary actions, “caging” at home was the appropriate choice. Nevertheless, home confinement was still more of a privileged exception, whereas imprisonment was the standard procedure. In the Meiji period, the distinction between these two modes of confinement disappeared and home confinement became the standard way of dealing with mentally disordered individuals. The third option, tameazuke , indicates an institution under control of the heads of the hinin (hinin-gashira 非人頭). Hinin, or eta, are taking in the ”failures” who flowed into Edo, i.e. homeless people roaming the streets, ill offenders of minor crimes, juvenile offenders and the mentally diseased or ranshin people, the so-called “poor mad”. In these designated settlements, managed by as well as housing “undesirable people”, rudimentary medical care was provided. As far as we know, there were only two places for tameazuke, both located in Edo: in Asakusa under control of hinin–gashira Zenshichi (est. 1789) and in Shinagawa, where head Matsuemon was in charge (est. 1700). Omata points out that in the prison in Kodenma-cho 小伝馬町 the attached sanatorium was also managed by hinin. Imprisonment and tameazuke appears to have been the logical choice in the capital Edo, whereas on the countryside the system of sashiko-ire still dominated. Itahara and Kuwabara compare tameazuke and the European “Great Confinement”, as addressed by Foucault. Suzuki, too, argues that due to the restricted growth of asylums in the post-Edo period, “pre-war Japan thus did not witness the full-bloom ‘great confinement’, which was a common feature in many western countries (…)”. Nevertheless, it is clear that imprisonment, hinin hospices or confinement at home served mainly the purpose of keeping the mentally disordered “out of sight” and off the streets for the sake of public peace and order. This indicates a reinforced social stigma, rooted in the prejudice characterizing people with a mental disorder as violent, lacking and troublesome.